Sadness, shame, fear and anxiety. Anger, negative thoughts, low self esteem and unworthiness. These are normal reactions to abuse and adversity, especially in childhood. You want to experience freedom, confidence, peace, love and strength. You want to create your dreams and be happy, but how on earth do you do that with the weight of the past on your shoulders? Anyway, who are YOU to deserve a better life? And don’t let anyone tell you otherwise! Including you! No matter what you went through as a child and how these patterns might be repeating in your adult life, you can make change happen. You can build your resilience and bounce back. You can write the next chapter of your life. And you can make it amazing. About 11 years ago I started to realise that no matter how dis-empowering my childhood was, I had the power and ability to change my life. I could change the negative thoughts and release the feelings of not being good enough, shame and fear. I could take empowering actions and get better results. I could learn to love myself, and not let other people treat me poorly because I realised I deserved better. I could have wonderful relationships in all areas of my life. I could access a deep well of resilience, peace and power that was already within me. And this is something that many people do, not just me. It's something that you can do too. You just need to know how. That's what this course is going to help you with. "It is an amazing, powerful course not only for those who have experienced trauma, but for life in general"
Did you know Oprah experienced childhood abuse? And look at how amazing her life has turned out. She's just one of many examples of people with dark pasts creating bright futures. I've been studying these people. I’ve learned what they do, how they think, how they experience emotions and how they find their deepest inner strength and power. I've combined this with my own personal experience of transformation and healing which has spanned over 10 years, many tears and cost around £20,000. I've put everything I've learned into a resilience model. Resilience is our ability to adapt and bounce back from adverse experiences. This model is what I want to share with you, starting in this introductory course. You don’t need to spend 10 years and £20,000 to figure this stuff out. 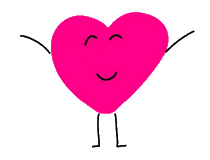 "I am inspired by your [Pinky's] frank honesty and very human approach to facing our own difficulties"
1. Why you think, feel and behave the way you do. The low self esteem, the anxiety, shyness and so on are not your fault. 2. How to challenge your negative thoughts and retrain your brain into a more positive outlook. 3. How to express and heal blocked and painful emotions and release them for good. 4. 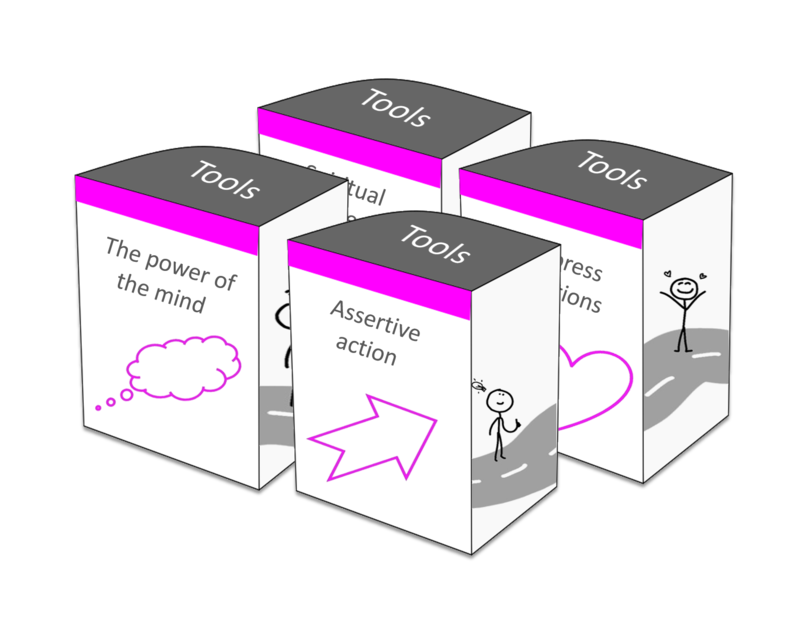 How to act in a more assertive manner in order to boost your confidence fast. 5. How to connect with your true self as a source of strength, peace and joy. Let your true self shine! Over 2 hours of video training split into 8 bite-sized modules that you can take at your own pace, plus 4 pdf exercises that you can print and use as many times as you like (the more the better as practise gets results!). - Adults (18+), all genders and backgrounds. - Those who've experienced physical/ sexual/ psychological/ emotional abuse, manipulation and culture based control in childhood and/ or adulthood. - Whilst the course refers to childhood abuse, this course has helped people who have experienced adult abuse also, enabling them to understand and change the root causes of abuse. - Those who've witnessed abuse in childhood. - Those who've had other adverse childhood experiences such as neglect, abandonment, parental divorce, alcoholism and drug use. - Those interested to learn about the impact of adverse childhood experiences on adult life. - Those who WANT TO CHANGE THEIR LIVES! The course may not be suitable for people experiencing extreme symptoms of trauma such as suicidal tendencies or presenting strong mental disorders and illness. This course is not a substitute for professional medical healthcare. It is for educational purposes and is to be used at your own discretion. 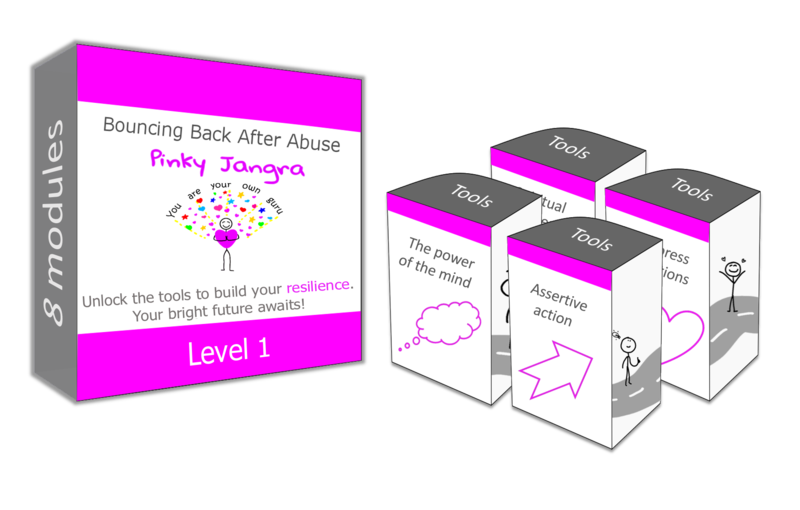 The course trainer Pinky Jangra is an educator, not a therapist or counsellor and she highly recommends seeking professional health advice to heal from the trauma of abuse. Please read and agree to the terms and conditions on purchasing this course. Many don't know where to start when it comes to healing. Many are unaware that their difficult childhood experiences are driving 90% of their adult life. Many think change is impossible and don't have access to support. 1:1 support can cost thousands. And seeking help is tough, abuse is such a taboo. But with an online course, you can learn how to heal and transform in the privacy of your own home and in your own time. There is no time like the present to start shedding the past and living to your fullest potential. That potential is your birthright. Your time as a caterpillar is over. Your wings are ready. I want to fly! Sign me up today for FREE! "I learned a lot and enjoyed it"
"Thank you for an informative and thought provoking session around building resilience. 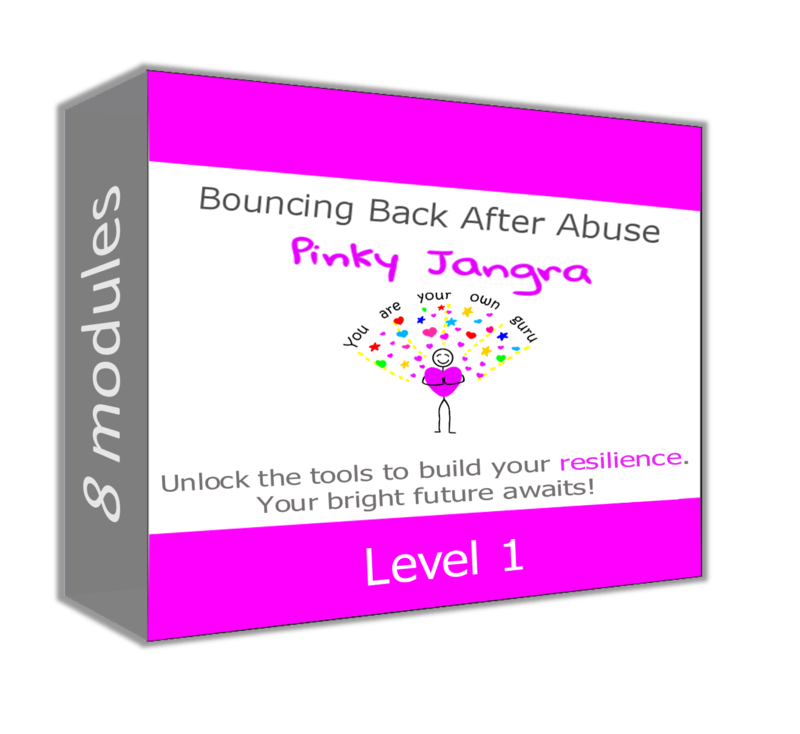 Your strength and resilience is inspiring"
Pinky Jangra is an independent trainer who pulls on several years of behavioural and technical training and coaching experience in the corporate world. She also has 11 years of experience in her own personal development and healing of past traumas. In 2016 she was selected as one of the UK’s top 5 new voices in the self help industry by Psychologies Magazine and the world’s largest publisher of self help books, Hay House. Her experience and knowledge pulls on various personal development disciplines including classic psychology, positive psychology, neuroscience, behavioural science and spirituality. She shares her extensive knowledge to help people overcome life’s challenges and create the bright future they deserve.